The Humble Bundle for Android isn't just a great way to get cheap indie games and help charity - it's also shaping up to be a pretty great platform for launching Android ports. Take Eufloria: it's been available on Steam for PC since 2009, but once it came to the Humble Bundle, it was made available for Mac and Linux too. 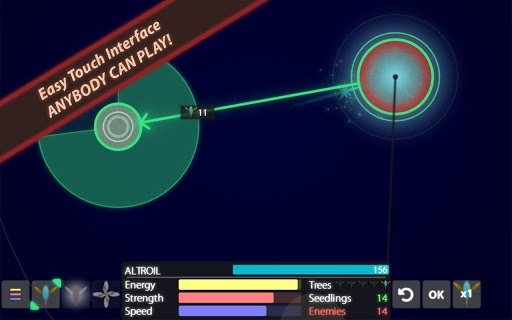 Now the game has been released to the Google Play Store. 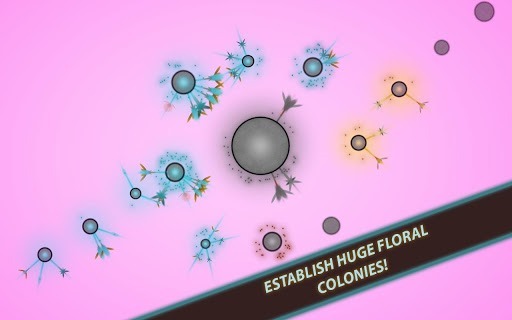 Five bucks gets you all the interstellar botanical strategy that you can handle. 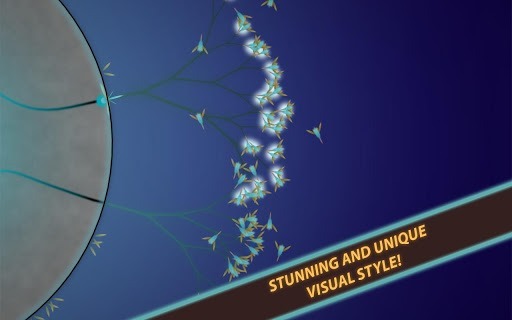 If you're new to Eufloria, it's in the "chill" genre that seems so pervasive these days. You play a species of interstellar plant that needs small planets on which to grow, and after spawning enough seeds, can spread to other planets as well. You're not the only plant life around: you'll need to ration resources and grow defensive structures in order to survive and expand. With simple aesthetics and classically-inspired ambient music, the whole thing looks like a playable version of a Fantasia short. Eufloria costs five dollars, and if that seems like a lot, consider what some other PC and console developers are charging for ported games. If you're still on the fence, you can try out the original game on your PC via a Steam demo.